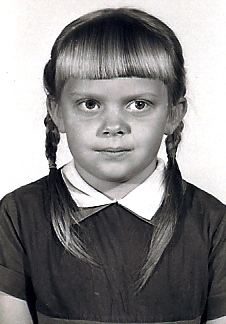 I was born in Ft. Morgan, Colorado, the second of four children. My dad, an evangelist/preacher and school teacher, was 47 years old when I was born and my mom was 28. For the first few years of my life, we traveled from place to place while my dad preached, living at times in an 18 foot travel trailer my dad built – yes, six people in an 18 foot trailer! My earliest memories are of falling asleep on a church pew and of performing in front of a church audience, singing “Why Worry When you can Pray” or quoting the 23rd Psalm. I asked Jesus to come into my heart when I was five years old. My dad was of stoic Norwegian descent, his parents emigrating from Norway in 1904. His father was a tailor by trade and a lay preacher to the Norwegian community in Madison, Wisconsin. 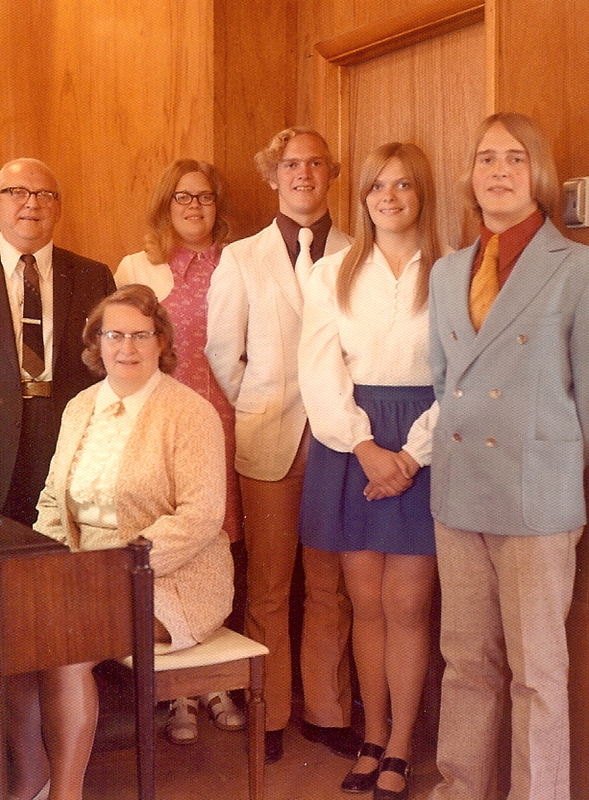 My mom, a school teacher and help-meet to my father in his ministry, grew up as the daughter of a Danish farmer in Iowa. When he was in his 20’s, Dad traveled around the Midwest on his Harley Davidson, setting up Sunday Schools and preaching. In his 30’s, he worked with as the “advance man” for Edmont Hains (a well-known evangelist at the time who wrote about the Tabernacle and Revelation) and was director for the Billy Sunday Jubilee in Garner, Iowa. After Billy Sunday died, for a time, he became the music director for “Ma” Sunday as she continued her husband’s ministry. He then traveled around the country as an evangelist. He and my mom met in 1953 when Dad visited a church in Iowa where mom was the pianist..and thus began their life together. When I was 5, we settled for a couple of years in Ft. Sumner, New Mexico while my dad went back to Eastern New Mexico University to become certified as a school teacher. In 1963, we moved to LaBarge, Wyoming, a small town where both of my parents could teach for the same school district. My mom taught me third grade, and my dad taught me in fifth/sixth grades and senior English. Dad became pastor of the First Baptist Church in Big Piney, Wyoming and successively of the Friendship Baptist Church in LaBarge, Wyoming. He also had a radio broadcast on KMER (Kemmerer, Wyoming) and KVNU (Logan, Utah). Most Sunday afternoons found our family practicing and recording songs, in varying combinations of people. Dad would then record a message to finish out the half hour and send a reel-to-reel tape to the radio stations for broadcast the following Sunday morning. The thing about being not only a preacher’s kid in a small town, but also a teachers’ kid, was that I grew up with constant expectations – expectations from my parents, expectations from myself, expectations from the community. Dad had no qualms about correcting my behavior – from the pulpit! If I did well in school, my parents must have helped me. If I did poorly in school, why didn’t my parents help me? It was a no-win situation. I have always said that I felt like I grew up with the word “EXAMPLE” tattooed on my forehead. Church was 25 miles north of LaBarge and my last six years of school I had to travel 50 miles south, so much of our time was traveling up and down Highway 189. After graduating from high school, I moved to Denver and went to a Bible college there. Joe and I met in 1975 at a Bible study and got married in 1976. Kids followed – Eric in 1979; Jason in 1982; Jenna 1984. We lost a baby in utero at 19 weeks in 1987. When Eric was young, I did what I felt was the expected thing and put him into preschool two mornings a week. He hated it! My neighbor at the time was involved in legalizing homeschooling in Washington. She gave me food for thought when, after hearing my complaint about Eric crying almost the whole time he was at preschool, she asked me why I felt he needed to be there. Then she told me about homeschooling…and our adventure began! Over the years, I served on the boards of two large homeschool groups. I planned field trips. I organized study groups. We hosted parties at our house, took pictures at the formals and plays. It was so much fun! When we started homeschooling, our goal was to homeschool Eric until he reached 8 years old, the age of mandatory school attendance in Washington. Each year we re-evaluated whether we wanted to homeschool another year, and each year we decided continue. I loved it! The next thing I knew, all of the kids had participated in the Running Start Program (a Washington program where high school juniors and seniors attend a college/university, receiving both high school and college credit at the same time) and my homeschooling days were over. It was time to transition into something new. 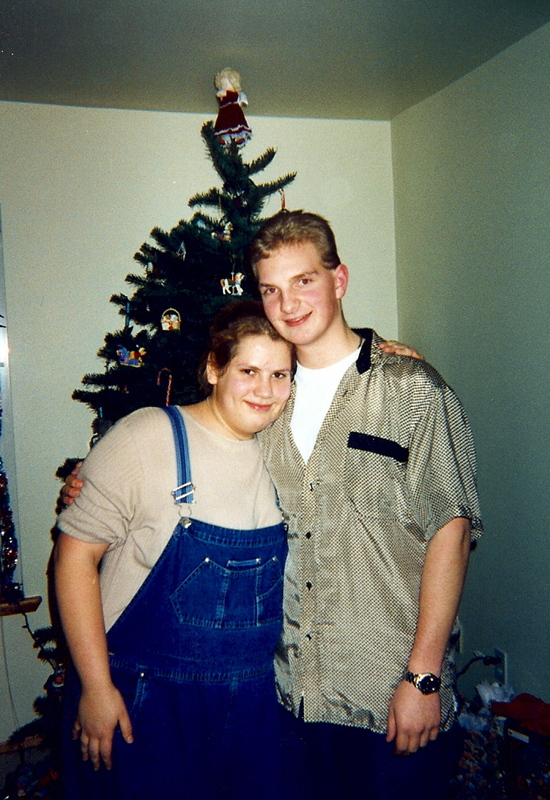 In the fall of 2001, with Jason and Jenna both attending Edmonds Community College and Eric on his own and out of the house, I looked around at my life and realized most of the people I knew were through the homeschool group. I was lonely. I needed to meet new people and expand my world beyond homeschooling. I decided to attend the ladies Bible study at church. Because the church we attended was quite large, I really worked at trying to meet people. I arrived early, introduced myself to people, asked about their lives, made notes so I wouldn’t forget, invited ladies to lunch. I found, though, that it takes a lot of time and a reciprocal desire for people within existing relationships to make room for someone new. Despite my best efforts, I felt like I failed miserably to connect. Early one morning in late December, I felt very strongly that I needed to go back to school in order to make myself marketable for finding a job, which is what I felt the next phase of my life included. Since all three of my kids (and many homeschool kids I knew) were attending Edmonds Community College at that time, I tried to find another place to go back to school. In the end, the only program that worked for me was at EdCC. I signed up for classes starting January 2002…and so I ended up on the same campus that quarter with all three of my kids and many of their friends. It’s a little daunting to go back to school at the age of 46! I was so incredibly nervous the first day. I had tested extremely well on both sections of the entrance exam, so I knew that I could do it. Once I started classes, I was so glad I had! I was excited about the prospects of learning new things and entering the next phase of my life. Jason and Alina - Best friends! Then March 3rd, 2002 arrived…and my world shattered. A drunk driver going more than twice the speed limit broadsided Jason as he was taking his best friend home after watching a movie at our house. Both Jason and Alina died instantly. Why, you may wonder, would I tell you about myself? How a person handles trauma and deep grief depends on many factors – personality, worldview, faith, an existing support system and ongoing support, familial training and expectations in the way you were raised, closeness of relationship to the one who died, your ideals and sense of justice, and many other factors. For me, because I felt “under the microscope” being both a teachers’ and preacher’s kid with a strong obligation to present a certain image, I have never been very transparent. I am a strong and independent person, one who has always taken pride in being able to handle everything myself. I don’t respond well to being told what to do. I have a very strong sense of what is right and wrong (the way things should be), a strong sense of justice. I have a helper personality – I give help; I don’t ask for it. I don’t chase relationships. I was in transition, between the world of homeschooling and the world of getting an education and a full time job. All of these factors came into play when Jason died. I didn’t have a strong personal support system at that time and felt horrendously deserted by people we knew, people in whose lives we felt we had invested so much. 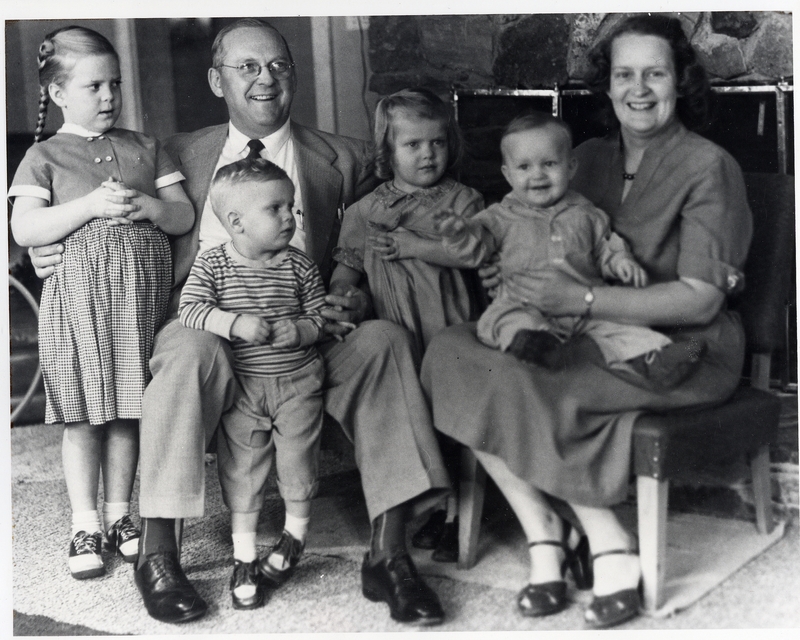 Joe and I gladly – by choice – invested our lives into our kids. We loved them from the beginning with our whole hearts – and our hearts and lives were shattered when Jason died. We were in so much pain, we didn’t know what to do. It seemed like, for the most part, we were left alone in our grief. Sporadic contact from only a few people did little to fill the empty void. When people did try to talk to me, my guard automatically went up – I couldn’t be transparent with people who it felt had left all of us so alone at the worst possible time in our lives. When I asked for help, tepid or minimal responses hurt my raw heart. “Secondary wounds” felt like a whip hitting my raw emotions, my broken heart. Wounds on top of wounds…it was overwhelming. I responded the only way I knew how – I pulled away and tried to handle everything myself. Every person’s grief is unique. Every person – and their own “factors” – are unique. Every factor plays a part in how a person grieves and how long it takes to integrate the loss into the fabric of life. Because we live in a society that is distanced from grief, it falls to the bereaved to teach others how to help. This is a daunting task, especially for a bereaved parent already dealing with so much. This blog is written using selected journal entries I have written since March 2002. My only goal is to give some insight of what it’s like to be on this side of the fence. I hope in some measure it can be of some help.